Last night I got a notification from wordpress saying it had been a year since I started my blog, wow it has went fast. Over the year I have been in touch with many amazing people, had over 2000 hits, and a bunch of nice comments. Really enjoying my blogging adventure. What started off as a info, hints, tips blog has now also included a lot of photos I have taken, and put forward to the various challenges. My blog is evolving, and sometimes I do not have any hits for 3 or 4 days then out of the blue I get 100, I am still unsure how that happened but it did. I have a few ideas of what I would like to do next, I am really into nature especially wild flowers, when I was young I used to press and save wild flowers, then research their names and place them in books. I wonder how many other people remember doing this. Now we have computers it is so much easier to identify flowers, and living in Tenerife has afforded me an opportunity to see others flowers I have not seen before. Unlike years ago , I am not going to pick the wild flowers but photograph them then identify them. 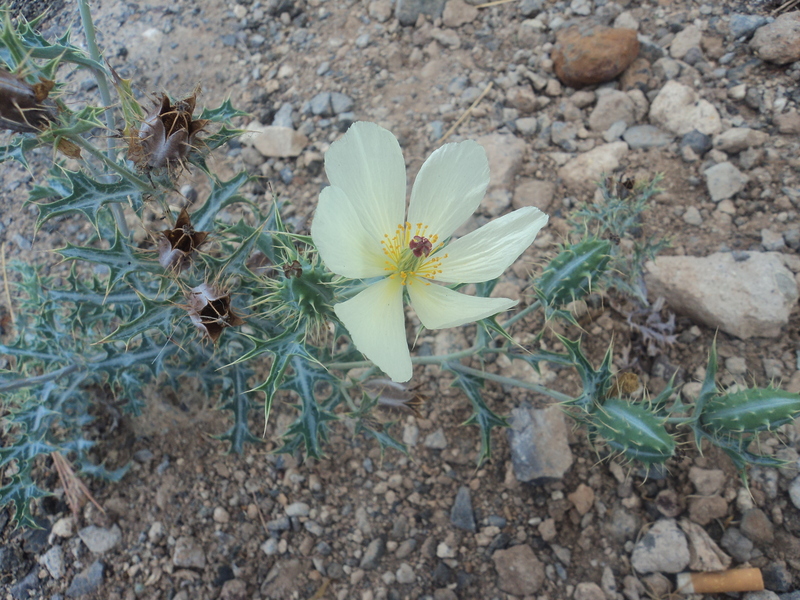 Here is a wild prickly poppy that I found yesterday in waste ground in Garoguacho. Finally I would like to thank all who follow my blog, and for all the likes and comments I have had. The blogging community is very friendly and helpful and I love being a part of it.